The Gulf Wind Chapter is the Tallahassee area affiliate of the National Railway Historical Society, an organization dedicated to the preservation and promotion of our country's railroad history and heritage. The chapter was formed in 1973 by a small group of Leon County residents who shared an interest in railroad history and railroading. The chapter is named for the Seaboard Air Line Railroad's "Gulf Wind" passenger train that provided service for many years between Jacksonville and New Orleans. 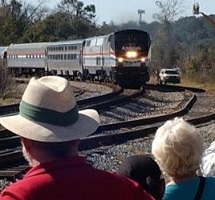 Visit this page for the latest news about rail history and preservation efforts, as well as the initiative to reinstate regular passenger service in Florida's Panhandle. 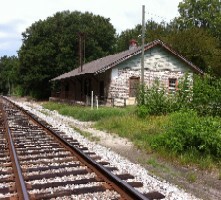 The Gulf Wind Chapter is responsible for the ongoing restoration of the historic Lloyd Depot, which is Florida's oldest remaining railroad station. Click here for more details. The Gulf Wind Chapter is a partner with other organizations on many worthwhile projects and activities that promote railroad history. Click here for information on these links.